Capsules Khi Leg (Cassia Siamea) - a proven tool for the treatment of insomnia. Normalizes sleep and appetite. It has a pronounced sedative and antidepressant effect. It helps to cope with stressful situations. Eliminates alarm. It does not cause addiction, does not reduce the concentration of attention. 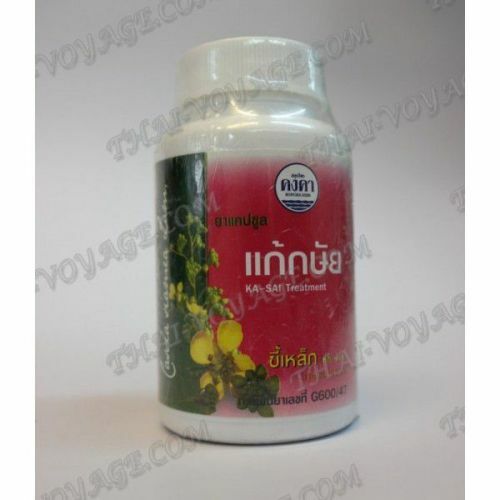 Application: 2-3 capsules after meals three times a day. It is undesirable to use while taking the drug alcohol. Do not use together with synthetic antidepressants are contraindicated in alcoholism and drug addiction. Upon termination of the symptoms of the drug can be stopped. The most powerful sedative effect is observed in the elderly. Registration number: G600 / 47. Composition of the product Cassia Siamea (flowers leaves fruits trees and roots) – 300 gr; Leaves of Bridelia ovata Decne – 180 gr; Cores of Avicennia Marina Forssk – 100 gr; Derris scandens Benth – 50 gr.